Nepal is regarded as a cultural lab as it has 100 plus ethnic groups with their own culture and traditions. There are several festivals that are celebrated in Nepal and Mani Rimbu is one of them which is celebrated in the Himalayan District Solukhumbu, the district which houses the Mt. Everest, world’s highest peak. 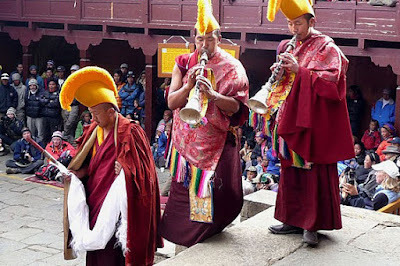 The most important festival in Tengboche, of Solukhumbu is called the Mani Rimdu. Tengboche is a village at the height of ~4000 meter. As Nepal is celebrated Nepal Tourism Year 2011 (NTY2011) , we have introduced a 14 day tour named Mani Rimdu Festival Tour 2011 Nepal which cost you only 1350 USD per person only (round trip airfare from your country to Kathmandu has not been included in the above price). Wonderful Time in Chaing Mai during APRIM2011, july 26-29, 2011!